Blackvale is a well established business in the Milton Keynes area which has been successfully trading for more than 20 years. 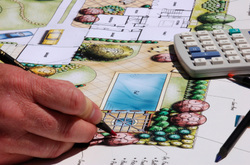 We provide a wide range of services from patios, garden design and driveways plus many more. For a full list of the services we provide please see the About Us page. Whatever the project we enjoy our work and value our customers.